Most card games are designed to have fairly simple rules: this is not the case for HORSE poker games. These games actually consist of a set of 5 other individual games (namely, Texas Hold’em poker, Omaha Hi-Lo poker, Razz poker, Stud poker and Eight-or-Better poker) – if you start using the ‘H’ from Hold’em, the first letter from each of these spells out HORSE, giving the game its name. The games are played in the listed order for one round each. Once all 5 games have been played, the rotation begins again with a Texas Hold’em round. Each round is a Fixed Limit round, and all rounds are played with the same limit on each. The idea behind HORSE poker games is to make sure that all players involved in the game are on more equal footing – by making everyone participate in a set of five different games, you’re probably exposing each of them to at least one game that they are good at and one that they are bad at. This, in theory, evens the odds between players a little more than playing a single type of game would. Those intentions don’t always translate very well into reality, though. Excelling at each separate round isn’t necessarily very difficult if players focus on keeping calm and quickly adapting to changing conditions. A person with a true mastery of core poker principles and an understanding of the basic rules of all 5 rounds can dominate HORSE poker games just as easily as any other game. Mastering HORSE poker is a vital part of becoming a true poker king, and the first step toward doing that is breaking down the component games. This classic card game is a poker staple, but for those unfamiliar with it and its rules, here’s a little refresher. First, the dealer lays down 5 cards face-up on the table for all the players to see. Then, each player is dealt another 2 cards to form their own personal hand (these are called hole cards). Each player’s task is to make the best possible poker hand using any combination of their personal 2-card hand and the 5 communal cards on the table. Unlike regular Hold’em games, Hold’em being played in a HORSE set always has a limit, and it’s often relatively low. This makes bluffing a less favourable strategy for the player than it typically would be. Because this game is so widespread and well-known, most HORSE players have no problem with this round; weaker players should make sure to work on their performance to ensure they don’t fall behind early. Similar to Texas Hold’em poker, Omaha Hi-Lo poker involves hole cards and community cards too (4 and 5 of each respectively). The player then chooses 2 cards from their hole cards and 3 from the table to make their betting hand. This game splits the pot between the highest and the lowest hand, too, so the player must do this twice to have a hand for each half (a low hand must have 5 different cards that all have individual values of less than 8 to qualify). This game has slightly different typical hand values than Hold’em poker and can be troublesome for less adept players who forget this, but most players still perform well at this stage. Razz poker is a variation of Stud poker that is played for lows only (as defined by the Ace to 5 ranking system). For this game, each player begins with 3 cards. All cards after the first 2 are dealt face-up with the exception of the seventh, final card. Bets are placed after each successive card is laid down (an interval known as a Street). When all 7 rounds of cards have been dealt and players have picked the best possible hand from what they’ve been given, the remaining player with the lowest hand wins the pot. Since this game changes up the typical poker rules significantly, it marks the point at which HORSE games tend to weed out poker amateurs. Players often play less confidently here due to a lack of familiarity with the game, and the Ace to 5 ranking system means that good hands aren’t always easy to spot. Stud poker is almost identical to Razz poker in all aspects but the desired value – you’re aiming for a high hand in Stud poker, not a low one. This is slightly more familiar territory for most players because games that reward high hands are more common than the opposite, but by this point, all but the best players will usually have faltered already. Last but not least, a HORSE poker game’s last round is always Eight-or-Better poker. This final round combines all the most advanced aspects of the rounds played before it; despite the seemingly unrelated name, it is essentially Stud poker played with the same Hi-Lo division as Omaha Hi-Lo. 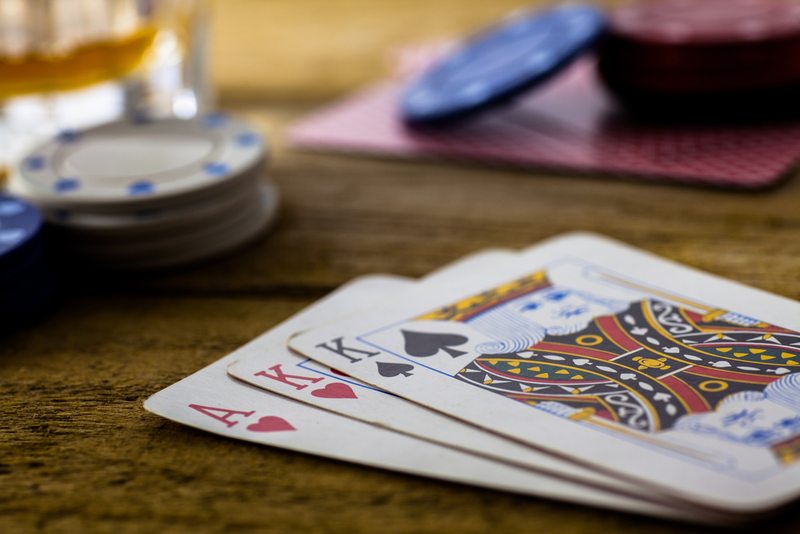 The ‘Eight-or-Better’ name refers to the qualifier for the low hands, which stipulates that the highest card in a low hand must be unpaired and no higher than an 8. Success in this round depends not only your own skill, but also on your ability to read the skill of others. By carefully observing the others’ plays in the previous two rounds, you can determine how aggressive your own moves need to be. If you can put up a strong front while mitigating your level of risk, you should come out on top in this critical round and conquer the HORSE poker game format. Previous Post: If Texas Is the King of Poker Variants, Then Omaha Is Surely the Queen! Next Post: Are you a tournament or a cash game poker player?